Sooo….here we are again. I know what I said in mid-March OK? 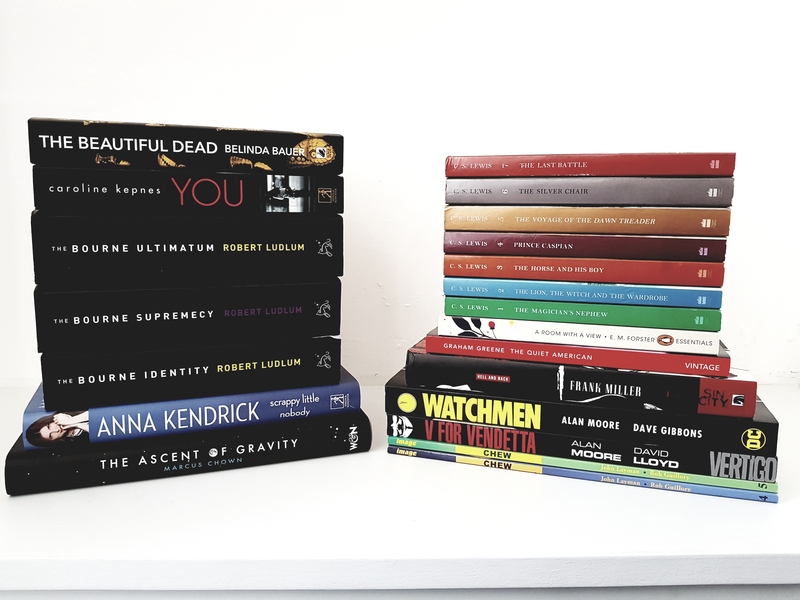 I know I admitted to an addiction, and I know that I told you all that I was thinking about limiting amount of books that I would buy (again) but then I didn’t. At all. In any way. Since March 19th, when I posted Book Haul #2, I have bought, received, been given, acquired, 23 books in total. OK, so on the day of posting, that averages more than a book every 3 days. Sigh. I give in. *I’ve struggled with blogging recently so this is a little out of date and will be followed shortly by #4. Don’t judge Haha!! 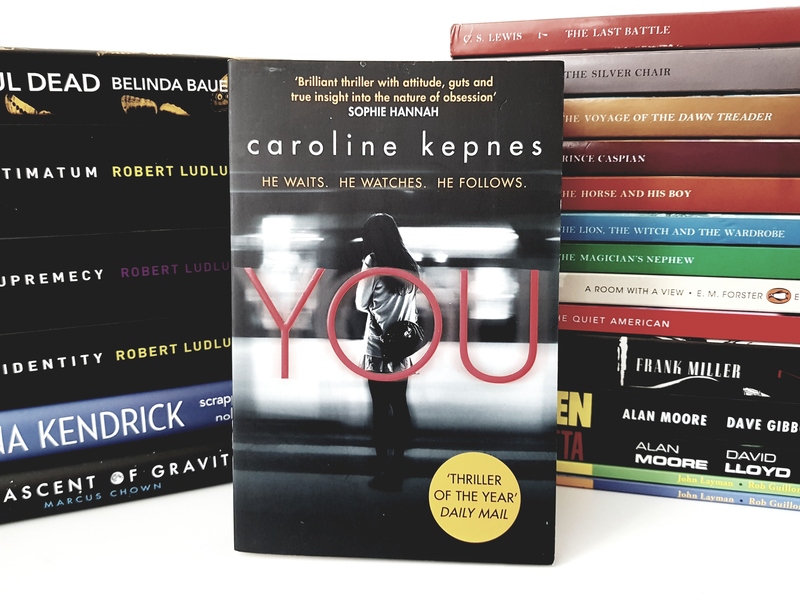 You Caroline Kepnes: My housemate mentioned this book in passing a while ago. And because I have a problem I decided that I needed it and that I would buy it instantly. I still haven’t actually got around to reading it but I like the idea of the perspective change in a thriller. 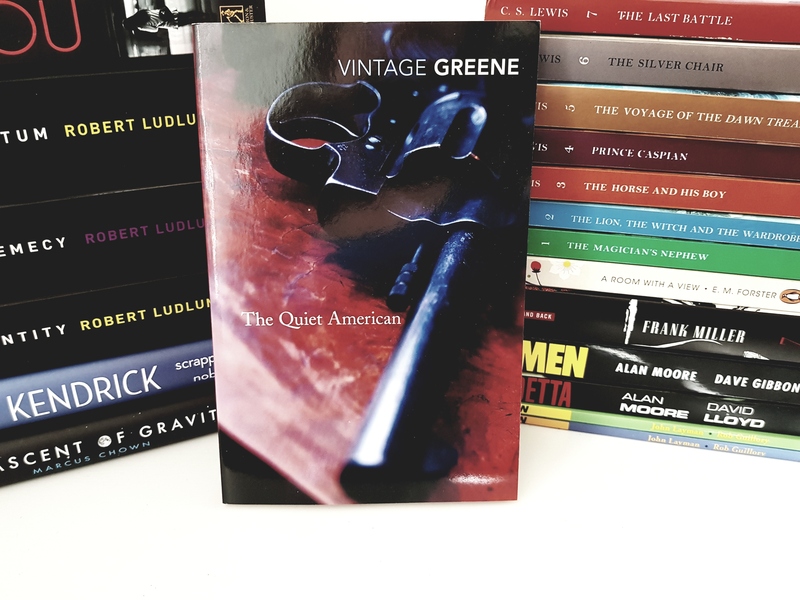 The Quiet American Graham Greene: I unfortunately received a duplicate from Willoughby Book Club, so after a quick email exchange, they happily sent this new book. I’ve never heard of It, which is the beauty of END, but it sounds awesome. 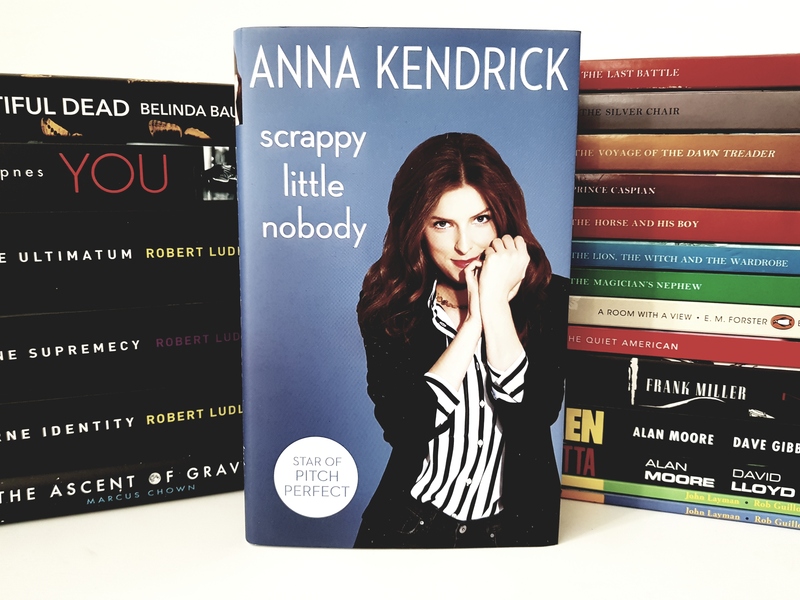 Scrappy Little Nobody Anna Kendrick: I am a proper fan of Anna Kendrick. She is my kind of eccentrically awesome. When I heard she had released an autobiography I snapped it up quickly, her sense of humour and story telling is second to none so I had to have a book written by her. 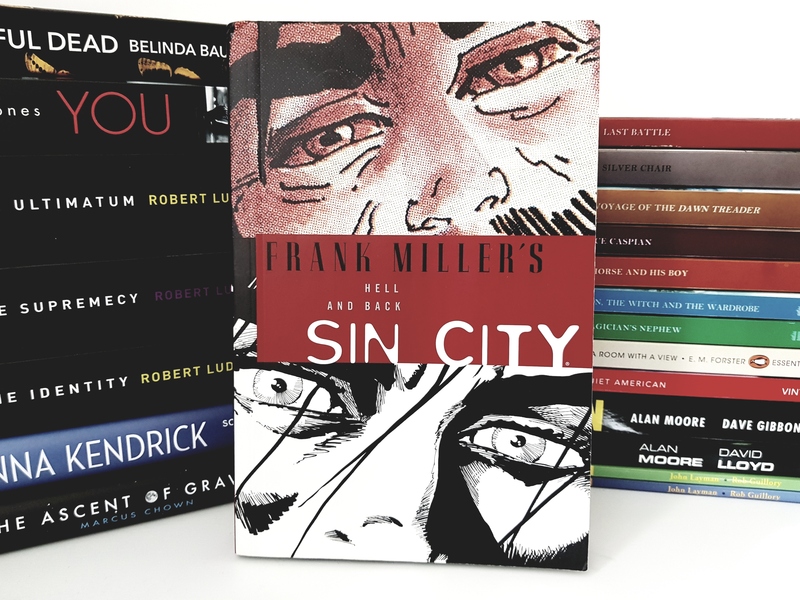 Sin City Vol. 7: Hell and Back Frank Millar: I am gutted that this is the wrong edition for my set, it will need replacing down the line. But, I can finally read the last installment in this awesome graphic novel series. 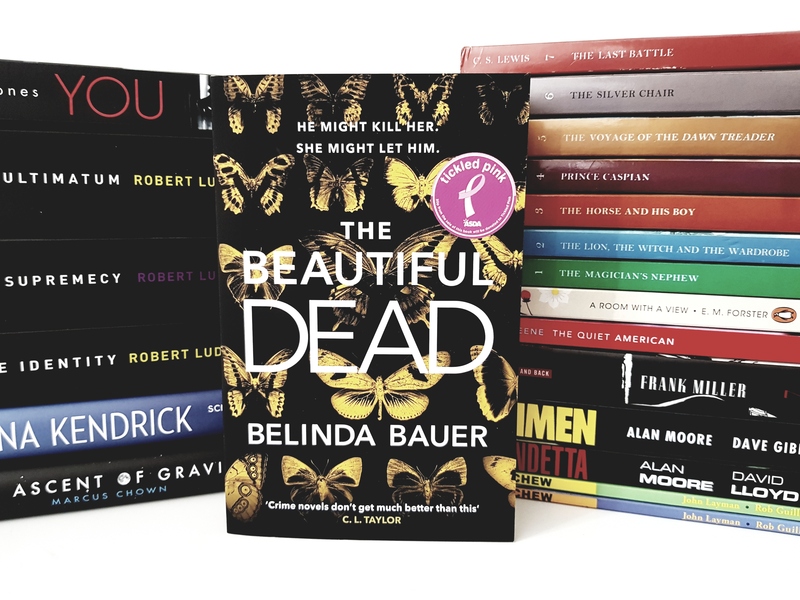 The Beautiful Dead Belinda Bauer: I saw this in ASDA and really really wanted to buy It, so the long and short of it is that I succumbed to it and bought it. I love a thriller so it should be right up my street. Chew Vol. 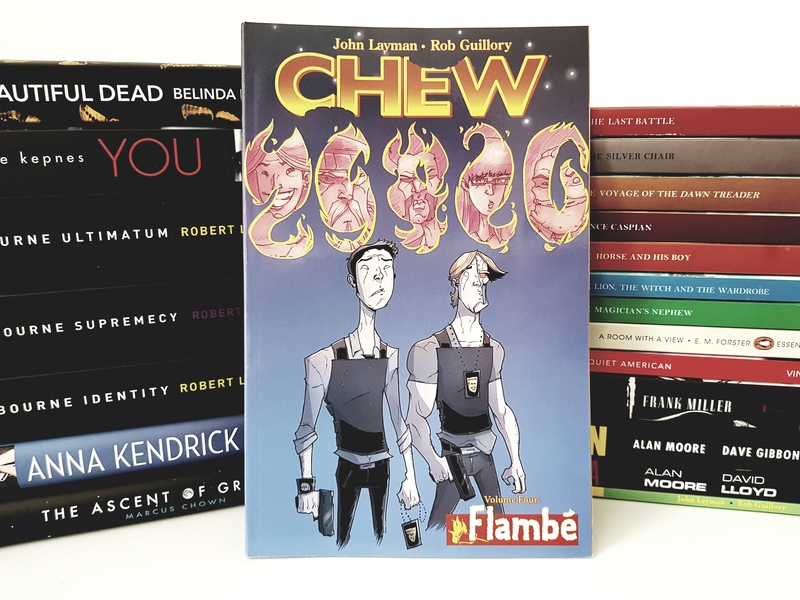 4: Flambé: John Layman/Rob Guillory: I’ve been loving Chew so it was nice to see vol. 4 on a decent offer to buy pre-owned. I am desperate to just fly through this series but I’m attempting to show restraint. 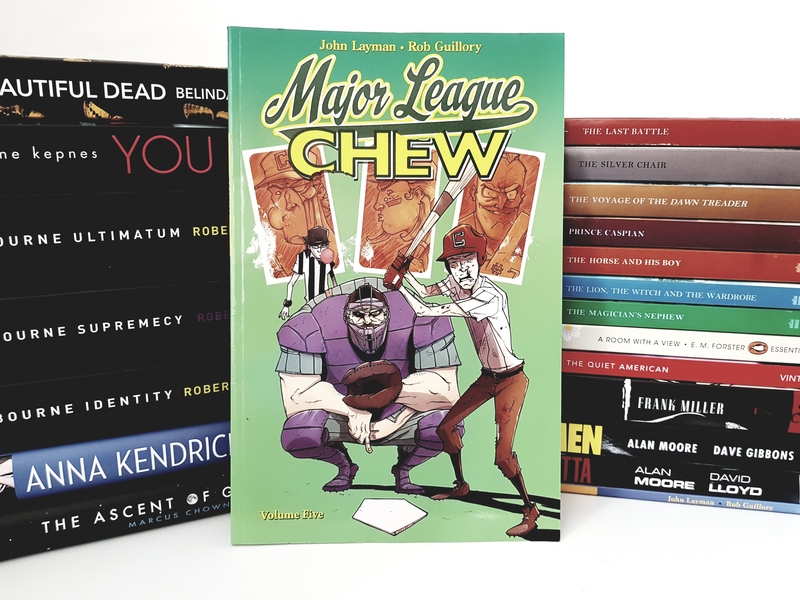 Chew Vol.5 Major League Chew: John Layman/Rob Guillory: The pre-owned offer was too good so I bought vol. 5 too. Graphic novels are expensive for their length so I’m trying to buy them pre-owned and ration reading. 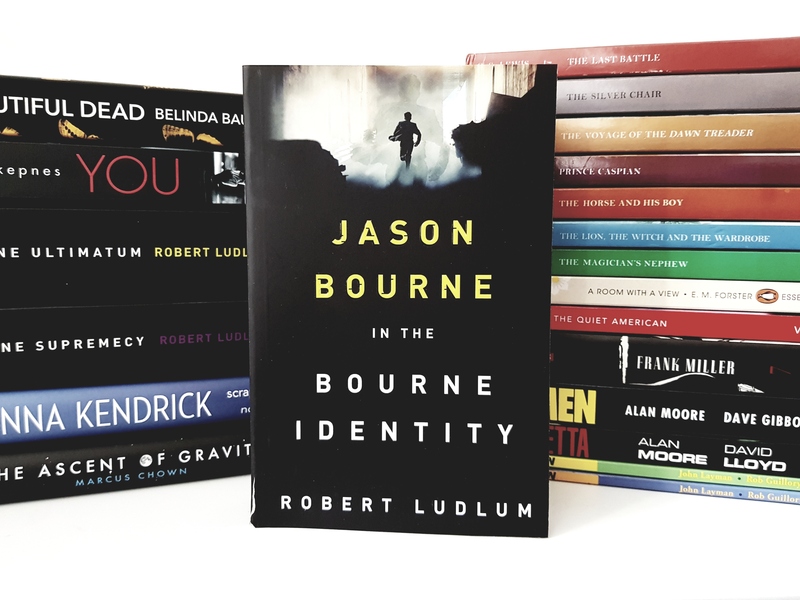 The Bourne Identity Robert Ludlum: I love me a good thriller. I love me a Ludlum book. I love the Matt Damon film adaptations, so why have I only just purchased a set of the book? 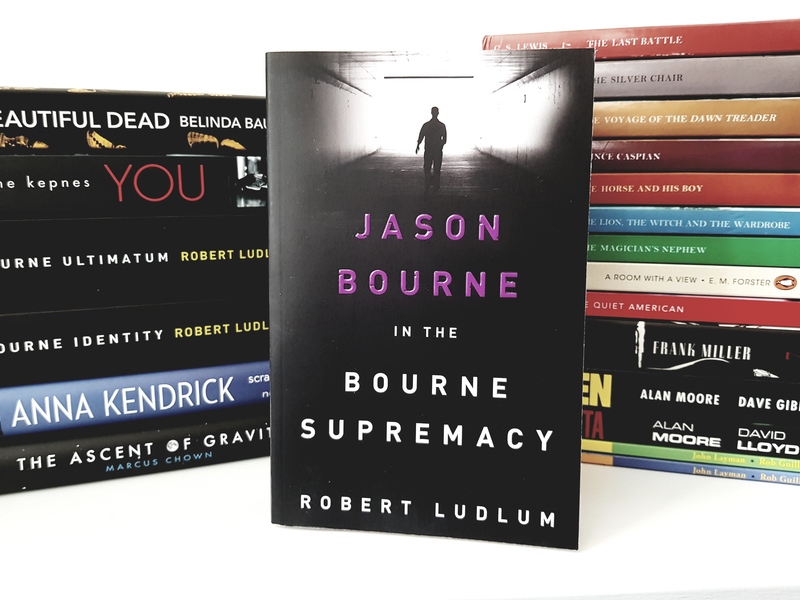 The Bourne Surpremacy Robert Ludlum: They were on Amazon’s dangerous 3 for £10 offer, so I stocked up while I could and bought the trilogy. I have wanted them for a while, so it seemed like the perfect time. 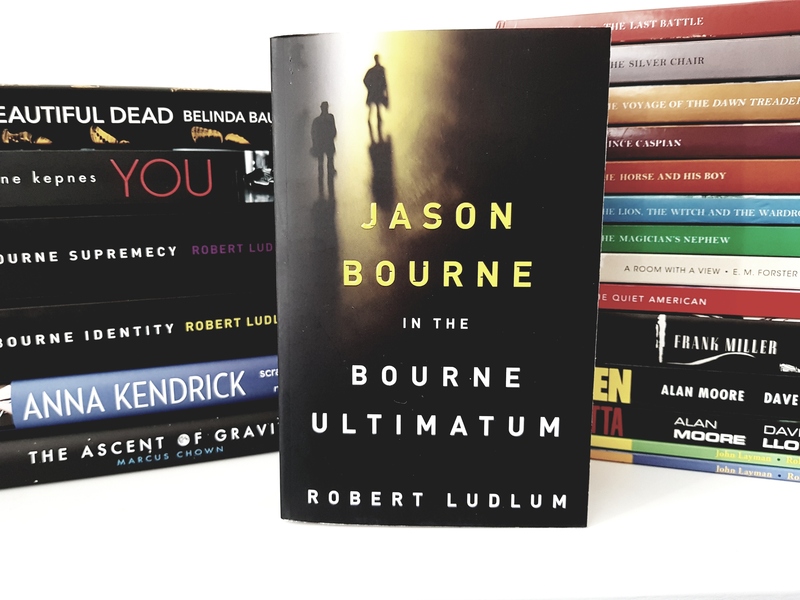 The Bourne Ultimatum Robert Ludlum: I risked getting this as the third in the offer because it looked like it was a different edition. But I risked it for a biscuit and along came the three novels, same editing, on a cost effective offer. Who could say no? 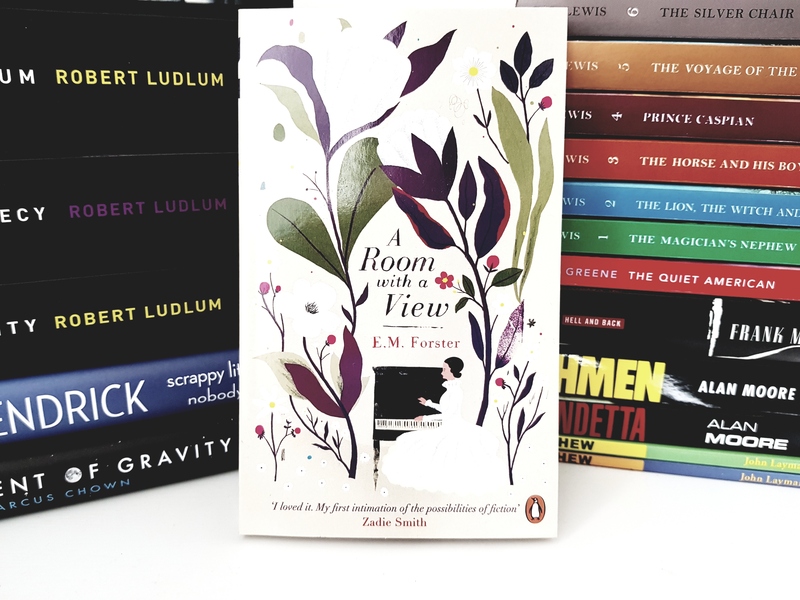 A Room With A View E M Forster: this was another instalment in the Willoughby Book Club and it is a super pretty cover. I’ve heard of this, and was pleased to see a classic that wasn’t to lengthy. I’m saving this for a short summer read. 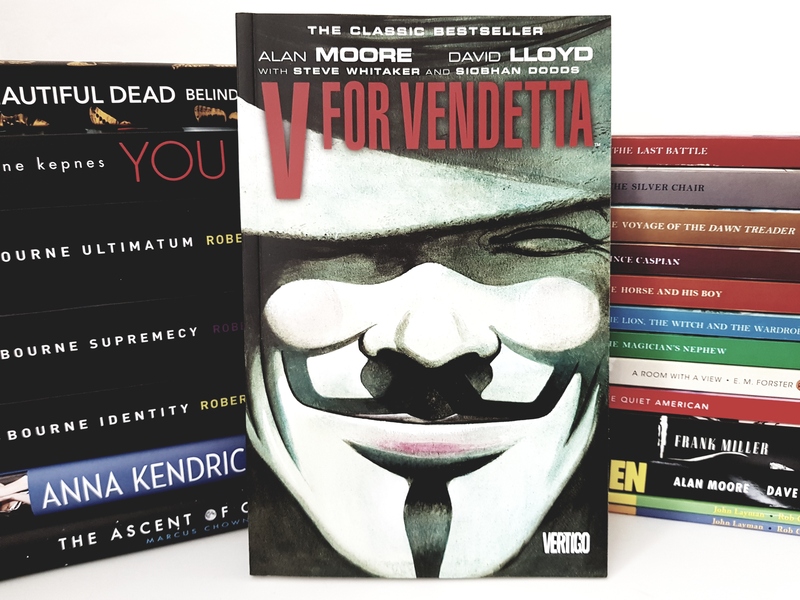 V for Vendetta Alan Moore: I just wanted this so much and when I saw a cheap used copy that was in good condition I just decided to give in and treat myself to something that had been longstanding on my Amazon wish list. 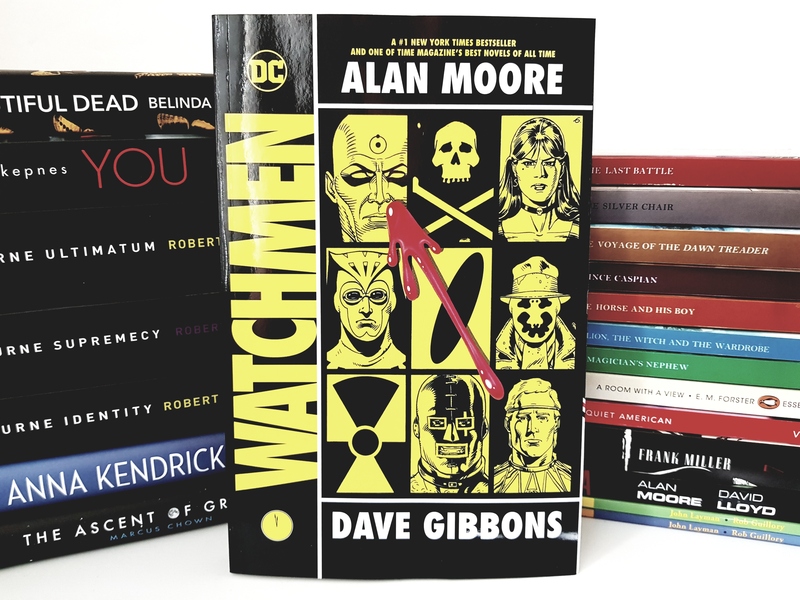 Watchmen Alan Moore: This graphic novel had also been on my wishlist for ages and my TBR even longer. So I bought it too, it would have been rude to buy one Moore graphic novel without the other, right?! 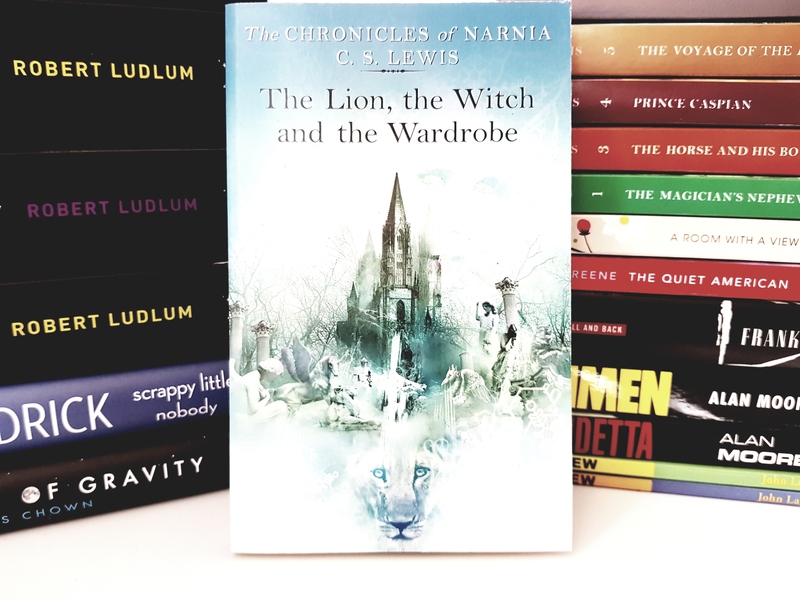 The Lion, the Witch, and the Wardrobe C S Lewis:….I am partial to bringing in a book to read between calls and on my breaks and lunches at work. Many of my colleagues have noticed, commented, laughed about it, and I have become known for it. 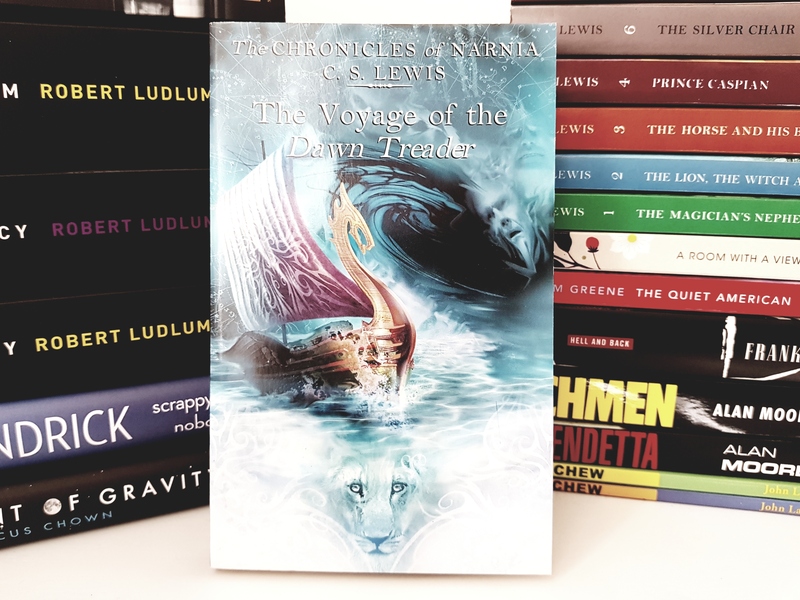 The Voyage of the Dawn Treader C S Lewis: One day, one of my work colleagues came in and explained that they had a surprise. They had been cleaning out their house/bookshelf and had stumbled across a pretty much unread set of the Narnia books. 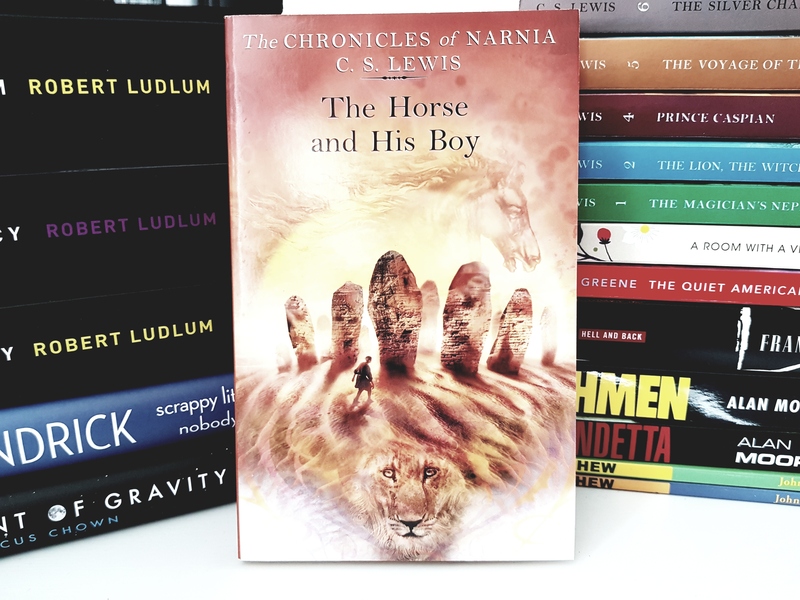 The Horse and His Boy C S Lewis:…i was handed a full, complete, pretty much pristine set of The Chronicles of Narnia books in work one evening. I didn’t know what to say other than thank Lyndsey profusely. 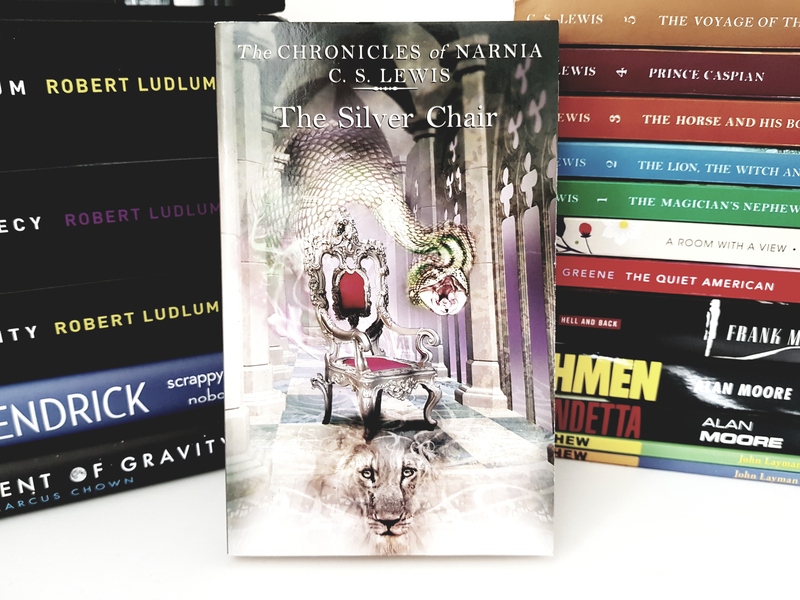 The Silver Chair C S Lewis: And so my collection of books expanded even more. 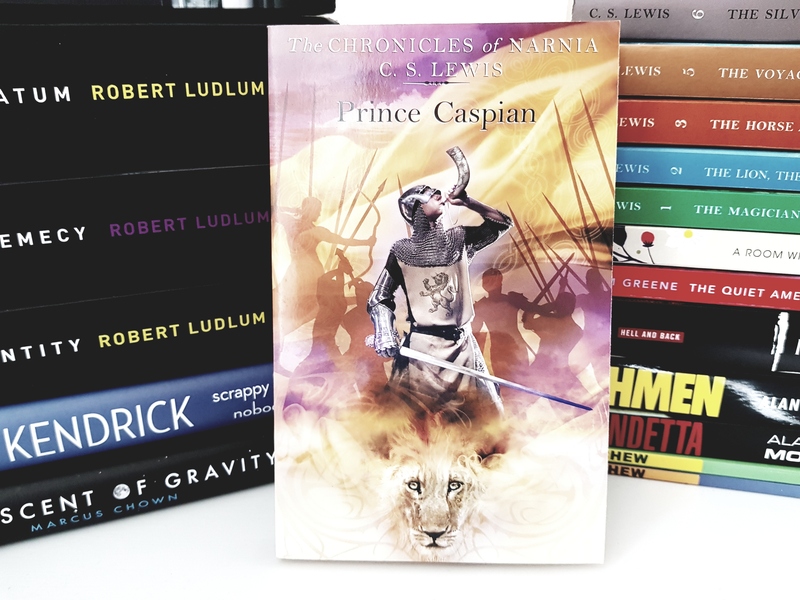 They are really attractive covers and have made me realise how much I have wanted to read these books for years, since I was small and first realising the power of a good book. 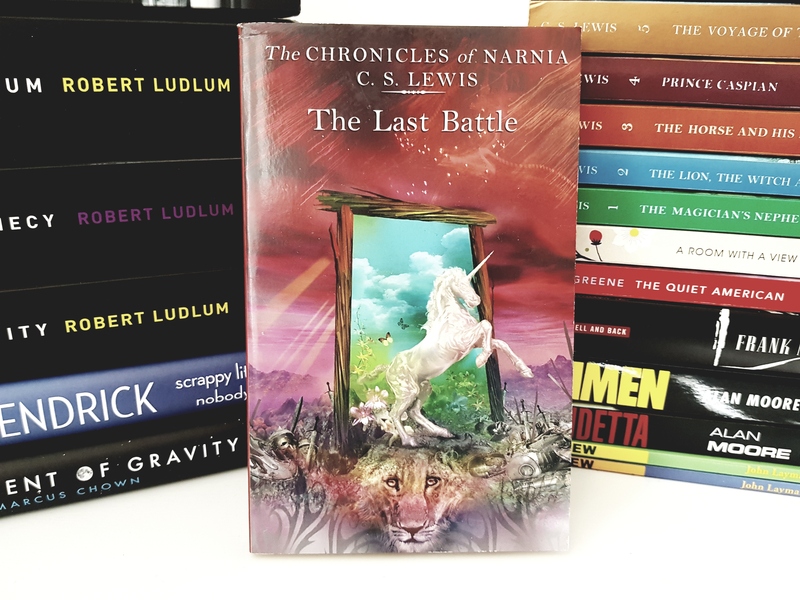 The Last Battle C S Lewis: This concludes the story of Lyndsey and ‘The Chronicles of Narnia’ act of kindness. 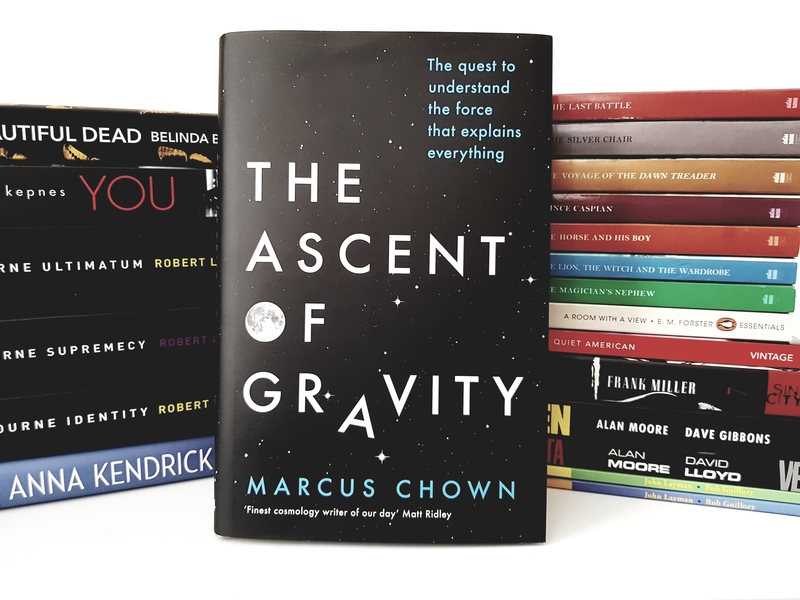 The Ascent of Gravity Marcus Chown: I really enjoy science and when I saw this book in Waterstones I kept wondering back, touching the cover, and generally eyeing it up. Eventually, I gave in to my geeky side and bought It!! I have the absolute best addiction. It’s sapping my money and my free space but I love books. If promise to slow down, but I also know that I won’t so…..oops, sorry/not sorry. Hello, my name is Jessica. And I have a book addiction. You are not alone! 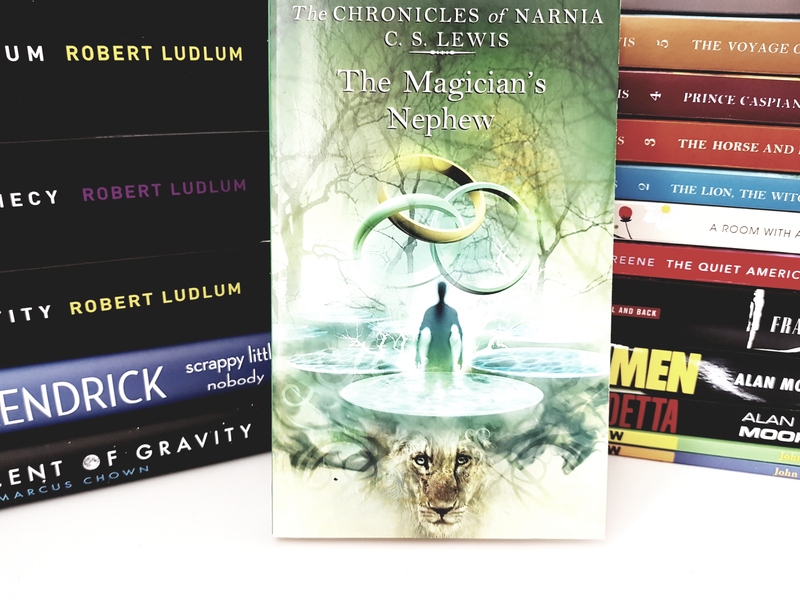 But oh my gosh those narnia books are gorgeous! This is one of my favourite comments ever!! Yes, they’re awesome. I love the lion’s face at the bottom of each! They’re so pretty!